DID RUSSIA WAGE a cyber offensive against the United States last year in an attempt to undermine Hillary Clinton and influence the presidential election? Almost certainly. Has Donald Trump expressed praise and friendship for Russia's ruler, Vladimir Putin? Quite often. Does Trump have a history of pursuing business in Russia and connections with Russian developers or investors? Yes, an extensive one. Was the 2016 Republican Party platform altered behind the scenes because the Trump campaign wanted language dealing with Russia to be watered down? It was. There has never been any secret about Trump's affinity for Putin and his interest in warmer relations with Moscow. His Russophile predisposition was so well known that when he won the election, political and media leaders in Russia openly rejoiced. "Today I want to ride around Moscow with an American flag in the window," exulted Margarita Simonyan, editor-in-chief of the RT news channel, a Kremlin propaganda outlet. If anything was easy to predict about a Trump presidency, it was that US foreign policy would tilt toward Moscow. Many of us in the conservative camp feared the worst. "Trump's campaign — whose slogan might as well be 'Make Russia Great Again' — presents Putin with a once-in-a-lifetime opportunity to reorient American foreign policy in Russia's favor," wrote Max Boot in the Los Angeles Times. Hawkish Republicans in Congress warned Trump that any softening toward Russia would backfire: "Putin wants to be our enemy," Senator John McCain said in January. "He will never be our partner." But something unexpected happened once the Trump administration reached cruising speed: US foreign policy toward Russia grew tough — tougher by far than it had been under Barack Obama. On Twitter, the president angrily attacks the Russia/Trump collusion investigation as "phony" and "tainted"; in press conferences, he highlights his ostensible success in "having Russia in a friendly posture." But on the ground, the Trump administration has been pushing the Kremlin hard. 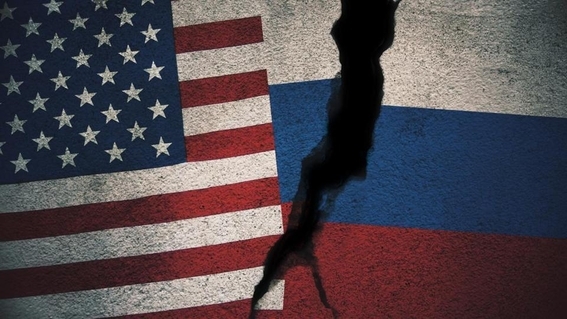 "Trump not only declined to lift Obama-era sanctions on Moscow, as many feared he would, but expanded them," observes Commentary magazine's Noah Rothman. "This administration closed Russian consulates and annexes in the United States. It has targeted Putin allies . . . under the Magnitsky Act — the same act that Kremlin cutout Natalia Veselnitskaya lobbied the Trump campaign to scuttle. Trump has even gone so far as to open US arms sales to Ukraine, representing a significant blow to Putin's ambitions in Europe." 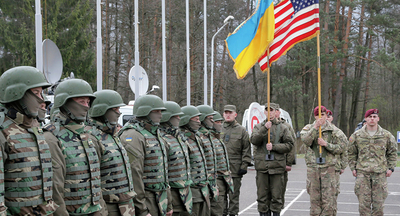 The approval of lethal weapons to Ukraine is particularly striking. It was on that issue that the language in the party platform was softened at the behest of the Trump campaign. As originally proposed, the plank warned that Europe was being "severely tested by Russia's ongoing military aggression in Ukraine" and expressed GOP support for "providing lethal defensive weapons" to Ukrainian forces defending their country. But Trump staffers insisted on a weaker formulation. The platform ultimately eliminated any reference to Russia "aggression" and called only for providing "appropriate assistance" to Ukraine. Whether Trump's personal views have changed is unclear. His actions, however, are unequivocal: Tens of millions of dollars' worth of materiel — sniper rifles, Javelin antitank missiles, and ammunition — have been approved for export to Ukraine. As a candidate, Donald Trump wouldn't commit to supplying Ukraine with military equipment. But as president he has authorized the export of sniper rifles, anti-tank missiles, and ammunition to bolster Ukrainian defenses against Russian-backed militants. "Russia aims to weaken US influence in the world and divide us from our allies and partners. . . . Russia interferes in the domestic political affairs of countries around the world. . . . China and Russia want to shape a world antithetical to US values and interests. . . . Russia continues to intimidate its neighbors with threatening behavior." The United States, says the NSS, will work with Europe "to counter Russian subversion and aggression." Trump's own words remain as maddening and distracting as ever. But away from the tweets and stadium stemwinders, the administration's approach to Russia has so far been admirably hard-nosed and realistic. Kremlin loyalists may have been gleeful when Trump won last year. It seems safe to say they're not smiling now.